People say that first impressions are important and Beard Juice have taken care of that, the 30ml/1.5 fl oz bottles arrive in their own individual cardboard tube with plastic stoppers at either end and it is adorned with the shiny Black and Gold beard Juice branding. No 71 – Grapefruit Beard Oil from Beard Juice is part of their 7x line and is a base of Argan, Coconut, Almond, Hemp and Jojoba carrier oils with the addition of Grapefruit essential oil. What you get is a fresh burst of Grapefruit that leaves your beard feeling amazing, it has an uplifting and invigorating citrus aroma that is the perfect way to start the day. No 71 from beard Juice is perfect to not only make your beard smell great but it also makes it feel great as well. My beard feels soft with minimal hold leaving it feel natural, I know that some guys don’t like their beard to have too much hold and so this is perfect. The 30ml bottle with glass dropper is adorned with the Beard Juice black and gold glossy label that gives their oils an upmarket feel. No 71 – Grapefruit Beard Oil from Beard Juice is available from their website for £10.90. I would happily recommend Beard Juice, their oil is blended perfectly and the ratio of essential oil to carrier oil is just right. 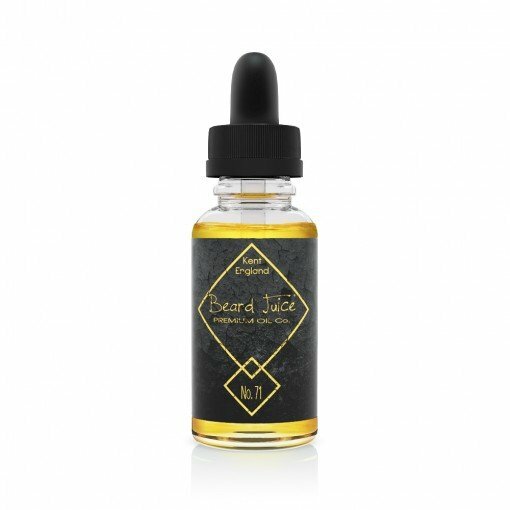 If you are looking for a beard oil then give Beard Juice a try! I asked Wayne Pollard who is the creator of Beard Juice about why he used numbers for his beard oils and why the numbers in the Seventies? It all stemmed from his first oil No 73 named after his birth year, that has a scent that reminds him of visits to the barbers and so he kept the number system. Having used lots of beard oils from many different companies and admittedly there are some very good brands out there, we still wanted to have our own oil and fly the flag for the UK in a American led market. We’re not saying that’s a bad thing, its just nice to have a great UK brand in amongst the mix! Everything is hand made in Kent England. Every batch is low quantity and high quality. We only make what we need, when its needed. You can also keep up to date with Beard Juice Facebook, Twitter and Google +.